Part Three of a 3-part series written to answer the enduring question of transfer or direct when printing dye sublimation. Don’t miss the other articles in this series, Part One: Output and the Sellable Product and Part Two: Economic Considerations. When choosing a digital textile printing system, there are other ancillary and consumable products that might influence whether you choose a direct or transfer platform. One such product is a calender, or heat press. In the case that someone is just getting into the business of fabric printing, they don’t know what they don’t know. They may not know what heat press or printer is best for them based on their market or what they are intending to do. They need to be able to consult with someone who has had experience guiding other shops through the process. 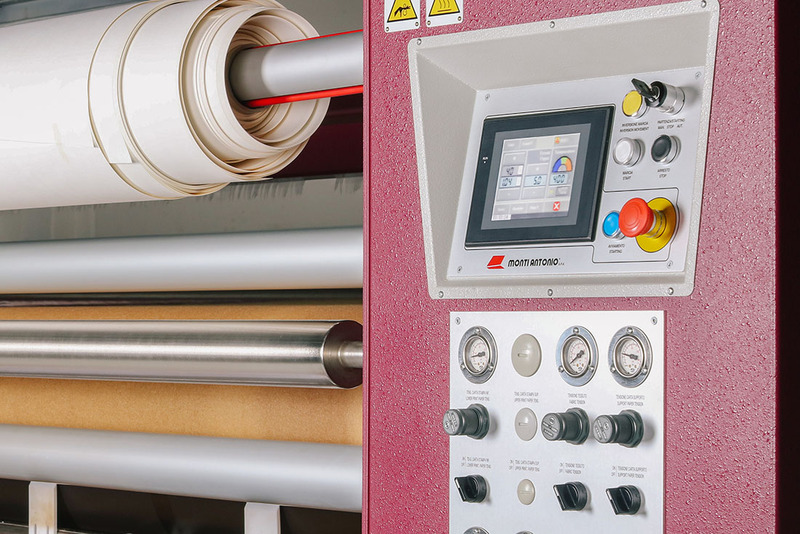 When it comes to heat presses, we recommend Monti Antonio over any other due to the build quality, the patented vacuum-sealed oil drum, the durability of the platform, and the tension controls. Most calenders have a sort of flywheel with a single chain that drives every component and is responsible for controlling the tension throughout the entire machine. This can cause problems, for instance, if you’re trying to put tension on the transfer paper because it’s cockling as it goes in, that single chain drive now pulls and stretches the fabric more than it should, causing sublimation quality problems. The individual motorized controls on the Monti are a big, big component of why we recommend it. These individual controls allow for repeatability, so the same job can be printed over and over again and will come off the calender looking exactly the same each time. The digital controls on a Monti Antonio calender allow for repeatable fixation. Another reason we recommend the Monti is its ability to future-proof your throughput. When someone buys a high-speed printer, it will typically be with their company for around five years. When the same company buys their heat press, it will last them 10-15 years if they buy wisely. Having a manufacturer that offers a variety of drum sizes is key. The bigger drum you buy up front, the longer it will last you as your printer speeds increase over the life of the calender. This is another example of why it’s vital to partner with a vendor who can offer a consultative view, someone who understands how to look down the road for your business and who knows where technology is going. The decision making process doesn’t stop with hardware. Once someone is printing, they need to know about fabric and, if they are printing transfer, the transfer paper. When considering transfer paper options, the decision is also not that straightforward. There are many choices out there and they will impact the overall profitability and quality of the output. When evaluating transfer papers, one component to consider is what product will give you the best bang for your buck: a paper that offers the best ink saturation with the least amount of ink usage. The next two considerations are how it performs on the machine and whether that brand offers a variety of paper weights to choose from. For instance, if someone wants to print on metal, like ChromaLuxe panels, they may choose to print on a heavier paper. If they are running soft signage, we may recommend that they print on a lower weight, 75-80 gram paper. Lastly, some inks print and dry better with one type of paper than another, regardless of the printer, because many users change their ink formulation after purchase. Our recommendations are tailored to our customers’ needs and applications. 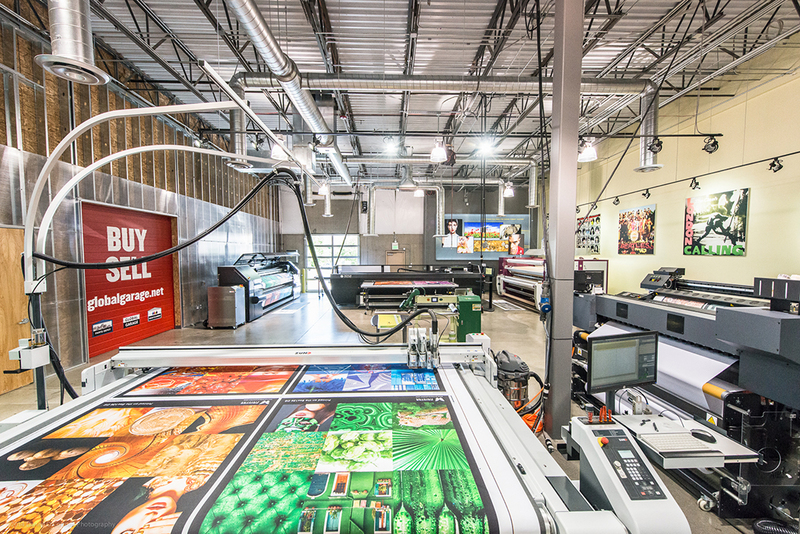 Having hundreds of printers in the field allows us to guide buyers to the right product depending on what they want to do today, where they see their business growing tomorrow, and what they’re willing to invest to see that growth realized. Contact us when you’re ready to get started.